I have been MIA to this group for awhile. It's been a crazy year with planning the wedding and finally married. We were on a Bahamas cruise for 1 week for our wedding. Yup. Got married on the boat by the captain. And then we had to head back home to unpack and repack for our honeymoon to Japan. Wow, it was definitely a crazy 3 weeks of from work. Any how, during the time we were gone, we had to board Kota for 1 week at a Kennel free boarder just because everyone in my family (except for my younger sister) was on the cruise for the wedding with us. Unfortunately, we were only able to ask my younger sister to dog sit my old little Kuky because she had to focus in her nursing school. We dropped off Kota at boarding from Sunday to Saturday. 7 nights. When we pick her up, she was so boney. Apparently she didn't eat very much. Which we new that was going to happen. She is a grazer and the boarding have specific times to put her in an area to have her eat. She doesn't like to be cooped up to eat so she probably didn't eat. We didn't weigh her when we got back but her hips were so boney. I can feel her pelvic bones. It was a little scary. 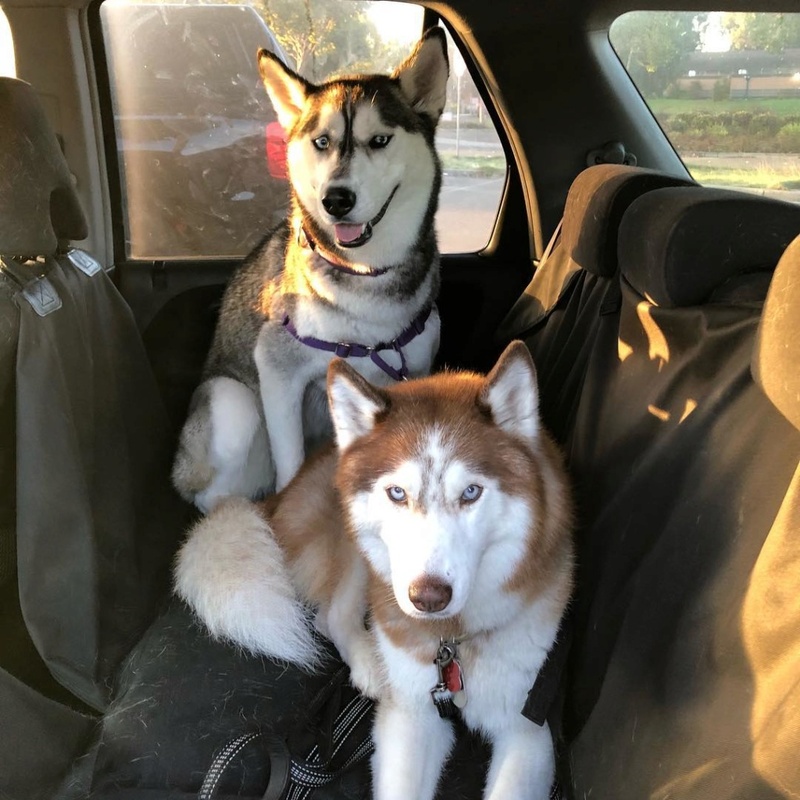 We knew we had to leave again for our honeymoon but luckily my other younger sister with her husky was able to take her from us for 2 weeks. Kota does very well at my sisters house and she loves playing with her cousin Oryan. They love each other. Plus, my sister goes to the dog park every morning and walk them at night. Kota definitely got spoiled. She also ate all or even more food then she eats at home. Once we got back, she was back to her normal weight and I didn't feel as much bones again. Does anyone have the same issue with their dog at boarding? Picture of Kota and Oryan. Oryan is very derpy. She has a funny character.